Team CeeLo was up next, and their group song was “Give a Little Bit.” I’m not sure if they all skipped rehearsals, or maybe it was because they're all very different vocally, but their performance was the worst I’ve seen on any show. Individually, they are all established singers and talented vocalists, but together... The four girls were singing in different keys (and none was the right key). They all missed notes and were pitchy, and pretty much all of them missed their cues leading into the harmonies. I actually felt embarrassed for them, because they are all better than what that performance showed. Whatever the reasons, I think it might have sealed Team CeeLo’s fate. In the end, America saved Caroline Pennell and Jonny Gray, and with no real reasons given by CeeLo, he saved Kat Robichaud... none of which was surprising. Christina’s team took their turn on the stage singing “Love Somebody.” For how strong her artists are, I was a little disappointed with the group performance. It was strong, and they all sang well together and looked absolutely amazing, but it lacked the ‘flair’ I was expecting from Christina. When the results were given, America obviously saved Jacquie Lee and Matthew Schuler. Christina didn’t really show any expressions during the reveal, so it’s hard to tell if she was happy with the results, or like the rest of us, just knew it would be those two. One of the biggest surprises of the night came when she announced her choice for the remaining spot on her team. She choose based on where her “heart is invested” and went with Josh Logan. While Josh is a wonderful singer, Olivia Henken definitely out-sang him during the live show. Even Christina made the observation that Olivia “can do it all.” So, again, a country singer is sent packing, and I’m starting to notice a pattern here. Rounding out the night was Team Adam and their rendition of “Safe and Sound.” This was, by far, the best performance of the night... in fact, I would say one of the best group performances I’ve ever seen. The whole group harmonized perfectly. Each one was on key and never missed a cue. If I were Adam, I would seriously consider taking the entire group, name them Maroon 6, and just go from there... it was that good. So, the Top 12 were chosen. None of America’s votes surprised me. 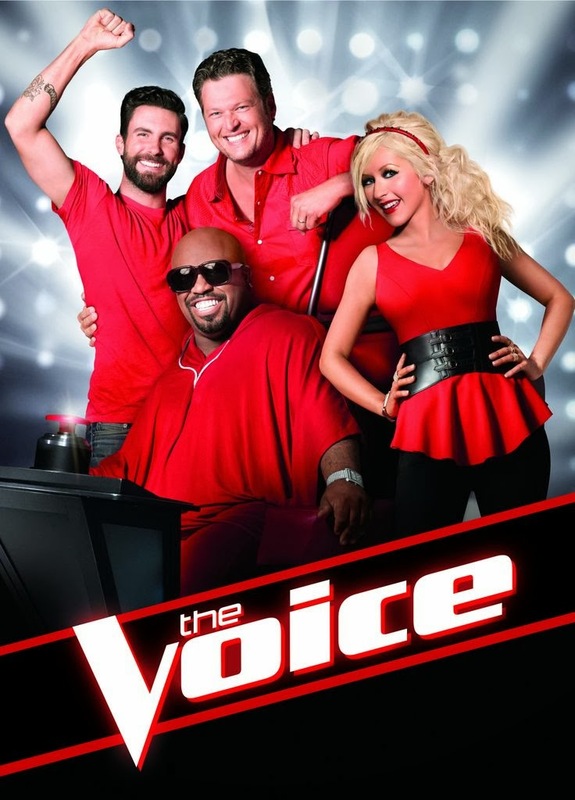 CeeLo was predictable, but what happened with the other three coaches? And... does anyone else find it odd that every country singer has been eliminated from the show, even Blake Shelton no longer has a country singer? After the Blind Auditions, there were seven country artists, all very talented. Three were eliminated in the Battle Rounds, two lost in the Knockouts, and the final two were eliminated after the first live show (all by the coaches). Notice a pattern? I do. Last season was won by a country singer. The season before that was won by a country singer... maybe production was worried that a country singer would win this year and gently ‘nudged’ the coaches in their decisions. Christina made a comment during the Knockout Round between Olivia and Destinee that she doesn’t have room on her team for two country artists. What if production decided that there isn’t room for any country artists this year. A third win in a row by a country singer could attach a label to the show that it’s all about country music. Would that bring down ratings? Maybe. This first elimination was the final chance before America becomes solely responsible for who goes home and who moves on. Who knows? It is just a theory. Looking at the Top 12, as long as bad song choices don’t mess it up, The Voice will inevitably come down to Jacquie Lee and James Wolpert, with James currently having a slight edge over Jacquie. Even though I’m a little upset with the decisions on who didn't make it through, I still look forward to the weeks to come. Monday the Top 12 perform, and Tuesday two more artists will be sent home by America’s vote... my guess is it will be Josh Logan and Will Champlin. Who caught your ear? Who’s your favorite? What do you think? Leave your thoughts and opinions in the comments below.